» Blog » How to make a child love to taste new foods? We can not make anyone love some food; however, we can help them try new food. Why the child will resist trying new food? For the child to be able to try new food, the child should be able to trust us. The child should feel secure to try and reject the food and think that his choice is respected. Usually opposite happens, parents either force the child to try out a new food or ask them to taste and then force them to finish it anyway, since it is good for health. 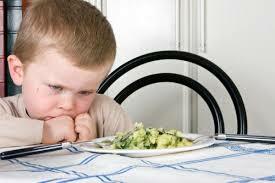 Sometimes even if parents don’t force for the food, they may not respect the child’s decision to reject the food. Parent’s may make fun of the child’s judgement or lecture the child. That’s why the child builds up her defence by resisting new food. How to encourage the child to try new food? Parents can approach the child with openness by saying, “Try so much of this food and if you don’t like it, I will finish it.” Then even if the child doesn’t try that good, don’t insist. When the child sees this, she learns that parents respect her choice and then she will gather the courage to give it a try. Again when she tries the new food, and rejects it, respect her decision and don’t insist or ridicule. This way she will gather trust in herself and her parents to openly try new food anytime. We have worked like this with our daughter for the last couple of years, and not she is will to try whatever we eat on her own. She use to resist eating anything spicy except Maggi. Now she is willing to try and eat even spicy food.